1/6 La Mamounia, Marrakech; MAY LINDSTROM The Good Stuff Radiance oil; ÁLVARO shoes. What does the founder of an online travel network do while on holiday? Track down the authentic, get caught up in the culture and pack for the occasion. 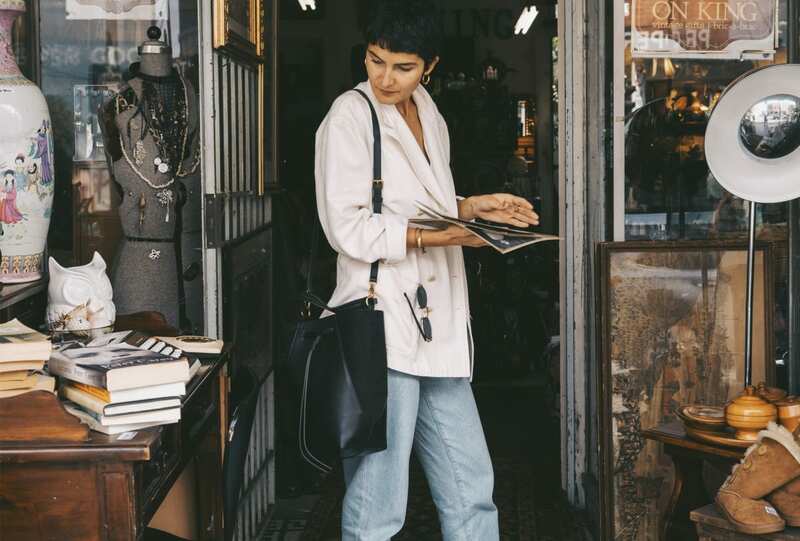 Here, CuriousCities’ Katrina Israel shares the best of her escape to Marrakech. 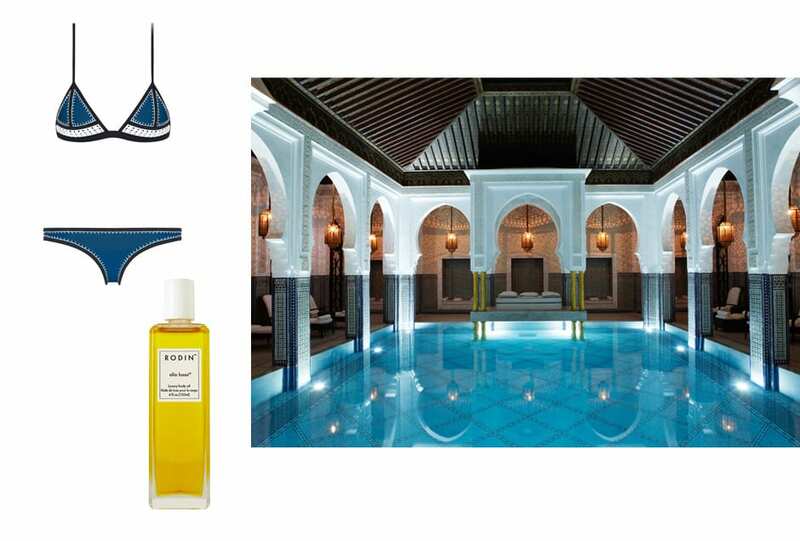 de Vivre in its mind-blowing moorish mosaics, Art Deco furnishings, traditional hammam and sprawling royal gardens – originally a gift from the Sultan to his son. Or if you’re looking for a more private resort experience go with the stunning Amanjena. Outside the hotel modesty matters, so pack a white linen dress from The Sleep Shirt, a couple of Mes Demoiselles blouses, Frame denim, Álvaro’s pom pom sandals (I couldn’t help getting a bespoke pom pom basket made at Place des Epices to match) and a faux-crochet Triangl bikini for the pool. Don’t bother bringing heels, it’s a cobblestone city. Dar Yacout. This romantic old city restaurant serves a decadent set menu that begins with sunset drinks on its rooftop terrace to live Andalusian music, followed by an authentic Moroccan feast by its lantern-lit pool. Kings have eaten here and the menu is king size. To Wicked Games by Parra for Cuva featuring Anna Naklab. They love a chill sessions remix. 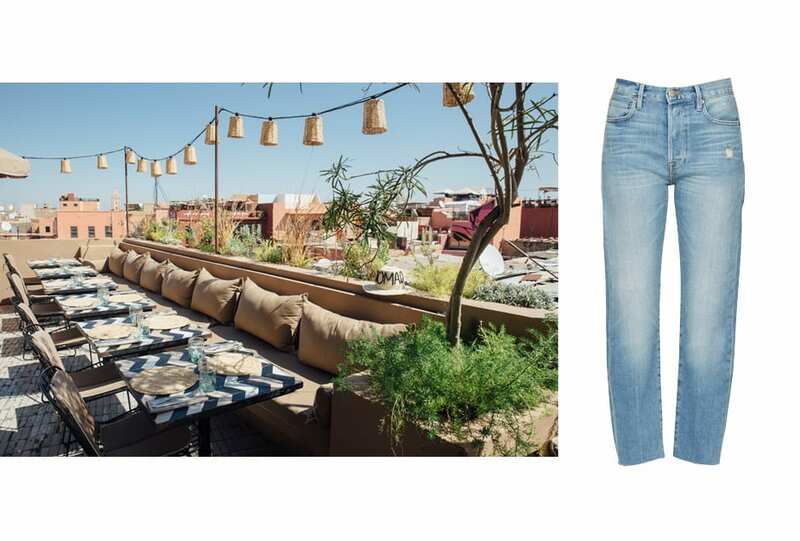 It’s not such a secret anymore, but rooftop restaurant Nomad overlooking Place des Epices fuses modern Moroccan food with a Scando-inspired setting and wonderful views over the bustling medina. 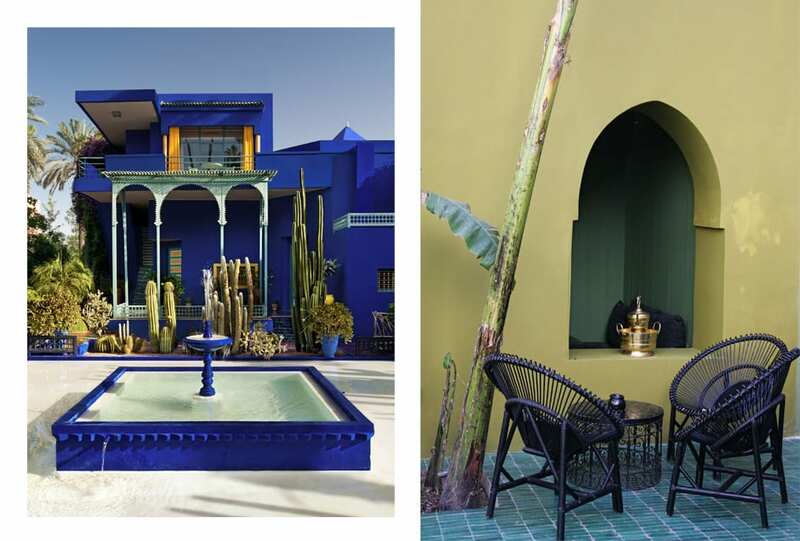 An early morning hammam followed by a silver service breakfast by the pool (actually standard at La Mamounia), lunch amongst the palm fronds at Le Jardin (owned by the same group as Nomad), followed by an afternoon wandering around Yves Saint Laurent’s Le Jardin Majorelle. Then dinner at the Amanjena’s Japanese restaurant, Amanemu, capped off with drinks within Bô-Zin’s oriental garden.